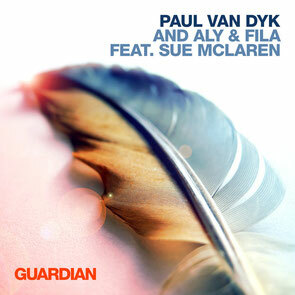 Ahead of Paul van Dyk’s forthcoming ‘Politics Of Dancing 3’, this first time production link-up sees Paul collaborating with Aly & Fila, bringing in the vocals of Sue McLaren for the track, ‘Guardian’. On ‘Guardian’, Sue’s sweetly sung vocals contrast with the bittersweet nature of her meditative lyrics. At its production core Paul, Aly and Fila fuse the track with a harmonic sound storm of pads, chords and synths. Cumulatively, the track’s pacific undertones and vocal enrichment amass to make this a big room track. Check it out below, it’s out today on Ultra Music / Newstate.